Helical piles are also termed as screw piles which are used to construct deep foundations and serve as screw-in and ground anchoring system. These are consists of various sizes of hollow tubular section for pile foundation and anchors shaft. Dear reader we will learn IBC requirements for helical piles here. 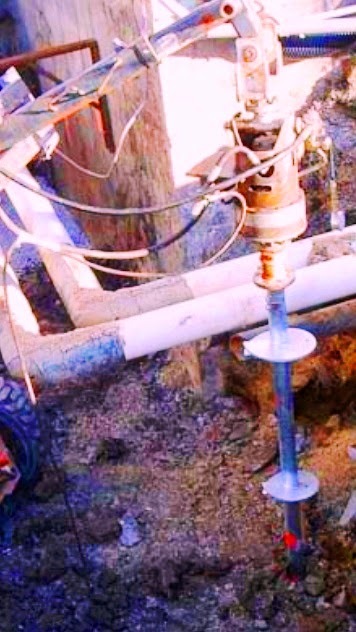 The helical piles should be analyzed and manufactured according to allowable engineer practice so that the piles are capable to resist installation stress and service loads. Diameter of central shaft, size, number and thickness of bearing plates should be sufficient to sustain design loads. This type of piles should be installed providing sufficient embedment and should capable to resist torsional forces as derived by professional engineer. The applied torque should not exceed (during installation) maximum allowable torque of helical pile. b.	Pu=Ultimate capacity based on installation torque (well documented correlation should be used). c.	Ultimate capacity based on load tests. d.	Ultimate axial load bearing capacity of the pile shaft. f.	Ultimate axial load bearing capacity of bearing plates fixed to helical pile.